Thank you for visiting, our website is still in its final finishing touches and this is a preview. 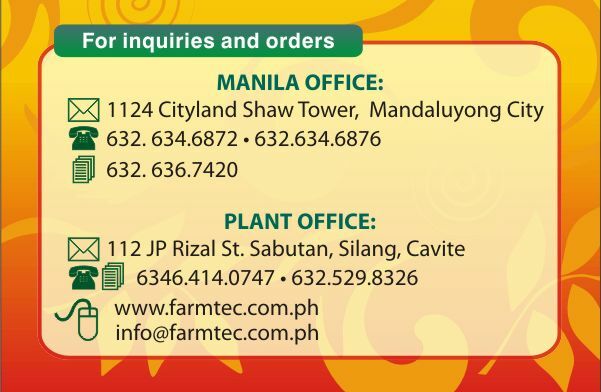 For your inquiries, drop us an email. Please check out our PRODUCT LIST. © 2008 FARMTEC FOODS, INC., All Rights Reserved.